Based on BD’s much-lauded carbon Helio series, the new Route series comes in a fiberglass and poplar wood core construction that adds nearly a pound of weight—but reduces the price by more than $200. The 95 is a steady all-rounder, and testers loved its easy, predictable handling and quickness. 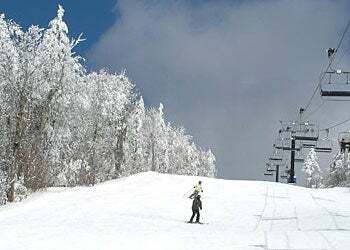 It planed nicely in up to a foot of powder, and held its ground in mixed conditions at moderate speeds, making it an excellent choice for spring tours. Learn more about the Black Diamond Route 95 here.